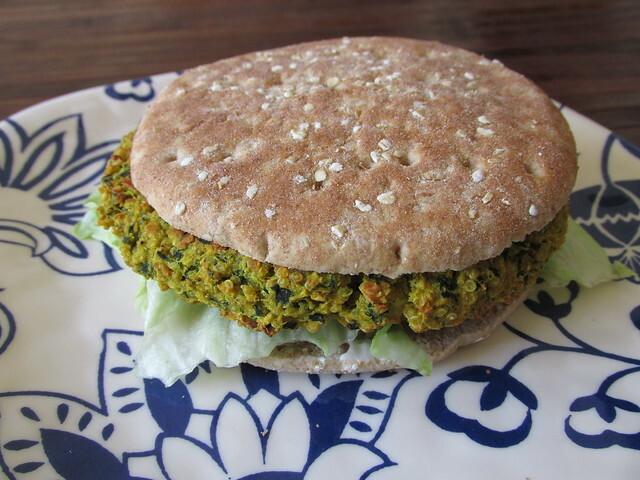 Ahhh, my homemade black bean burgers were such a hit around here that I gave another thought to my recipe and tried, once again, something new. 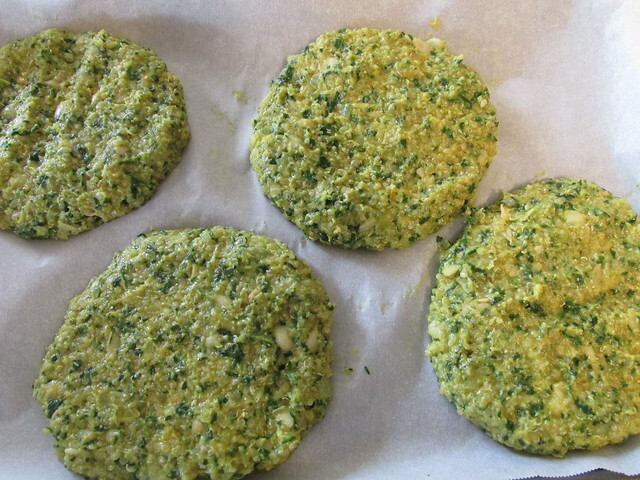 This time it is white bean, quinoa, and spinach burgers with Indian spices. And let me tell you, they were also a big hit!!!! 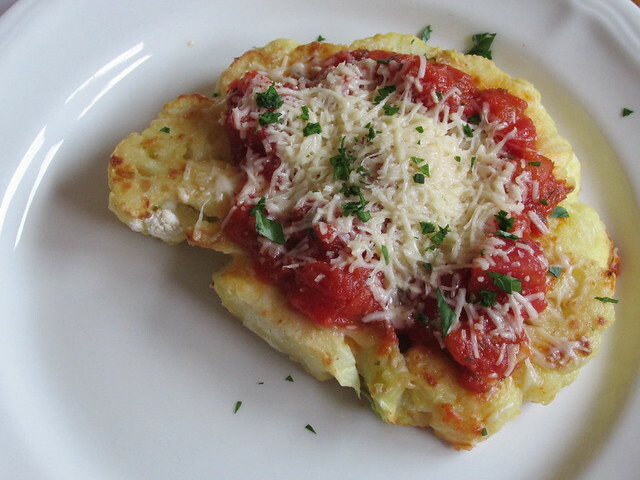 So filling, healthy, and easy to make I just have to share it with you all. First, you must drain and rinse your beans. 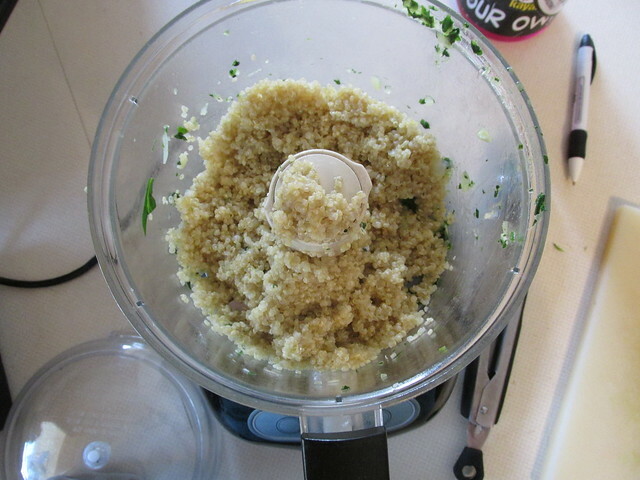 Then put your quinoa on to cook. Cook according to the package. 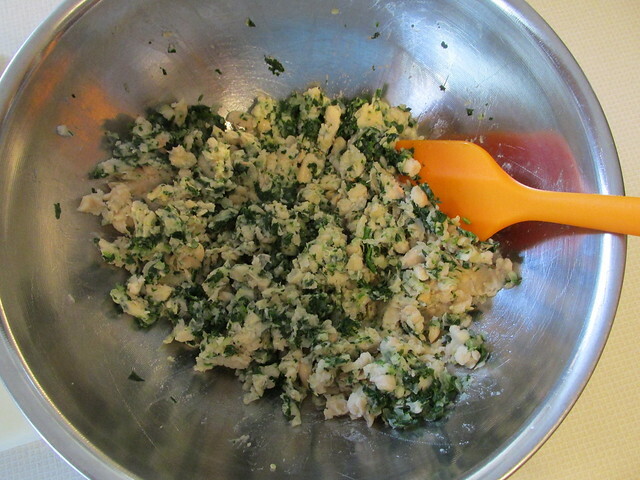 While this is cooking, rough chop 1/2 your onion and spinach. 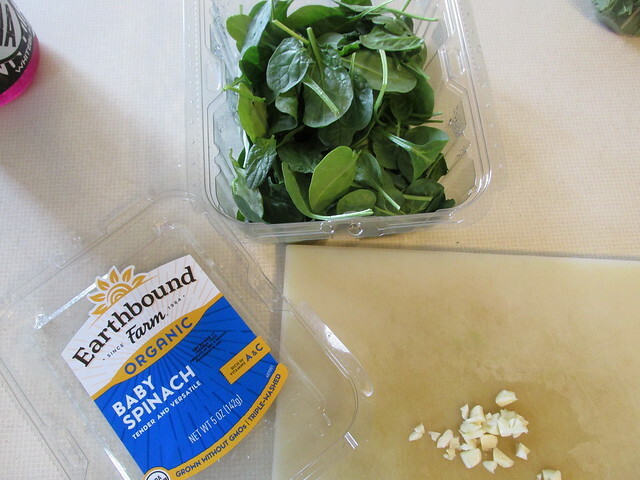 Toss them into a pan for a quick cook, just until the spinach wilts. 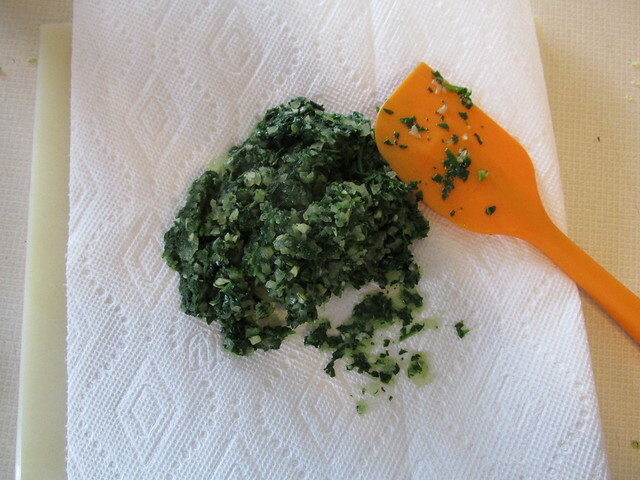 In your food processor put your garlic cloves and your cooked onion/spinach mixture. 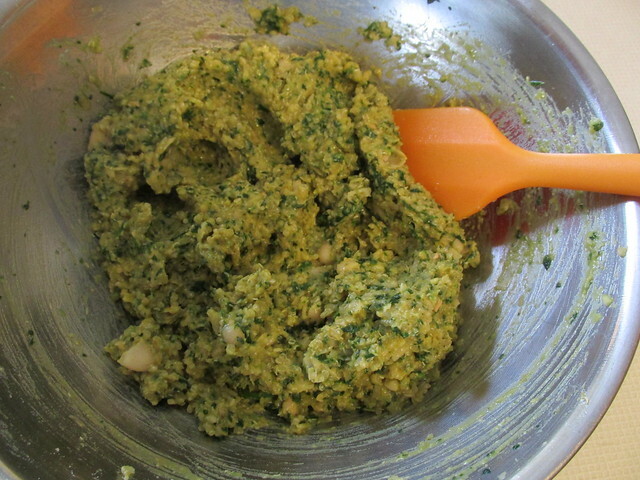 Give this a quick blend to finely chop. 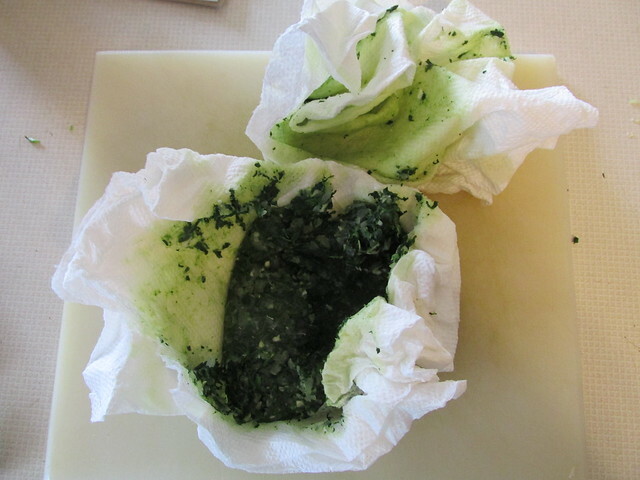 Next, and highly important, take a bunch….maybe two bunches of paper towels and squeeze this mixture until all the moisture is drained out. 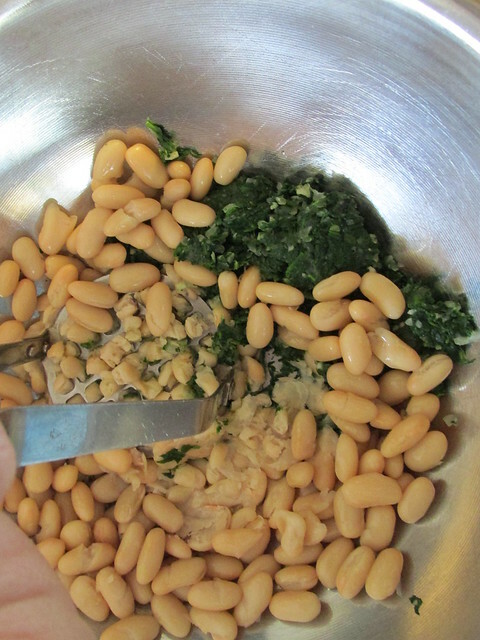 In a medium size bowl, place this mixture and your beans and give them a rough smash with a fork or a potato smasher. 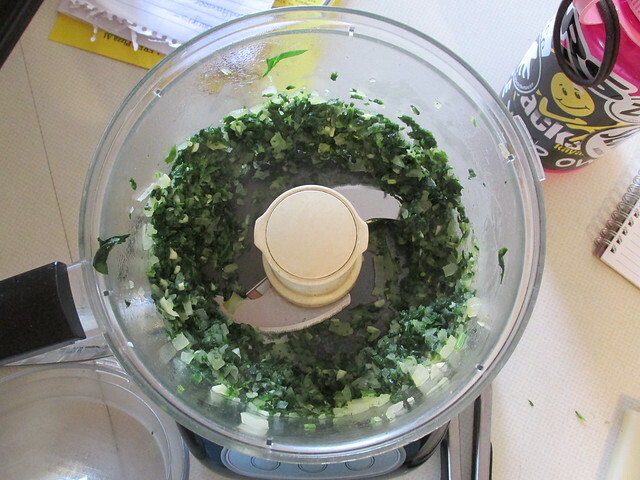 Meanwhile, when your quinoa is done cooking add this to the food processor and give this a few pulses to grind it a bit smaller. 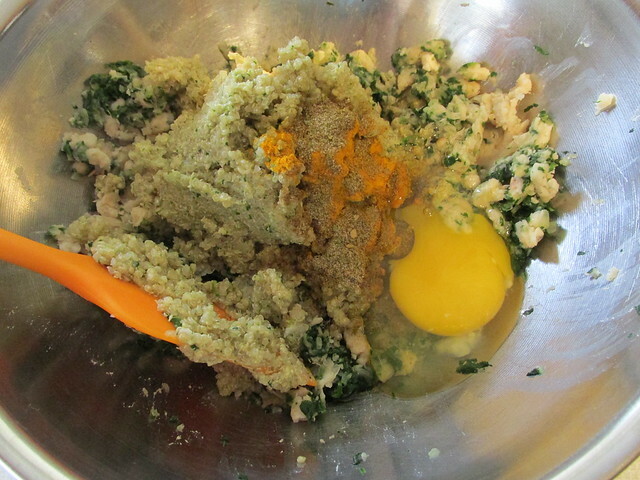 Then add this to the bowl, along with the spices and the egg. Mix this all until well combined. 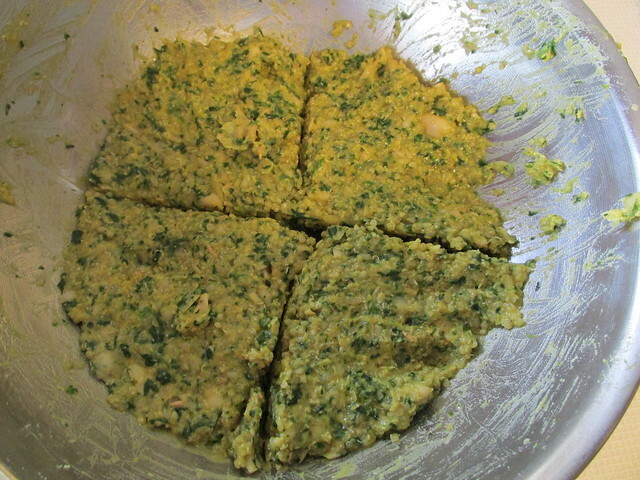 Last, score the top to divide into four large burgers. Form them and place them on a parchment lined baking sheet pan and place them in the freezer for 2 hrs. to firm up. 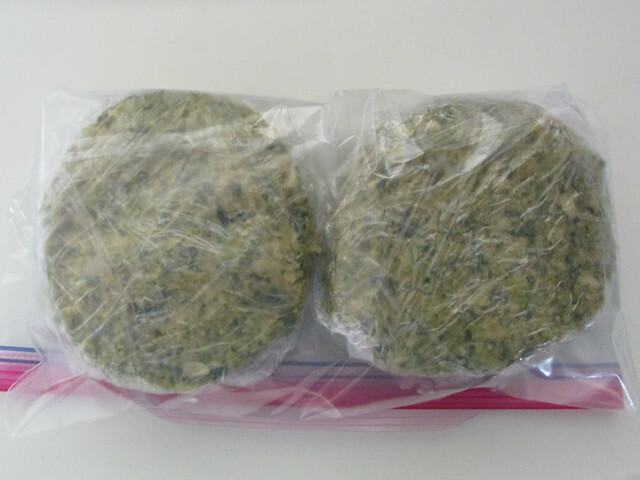 For storage wrap them tightly in plastic wrap and place them into a freezer bag/container. When your ready to prepare them, place them on a tin foil lined baking sheet sprayed well with non stick spray. 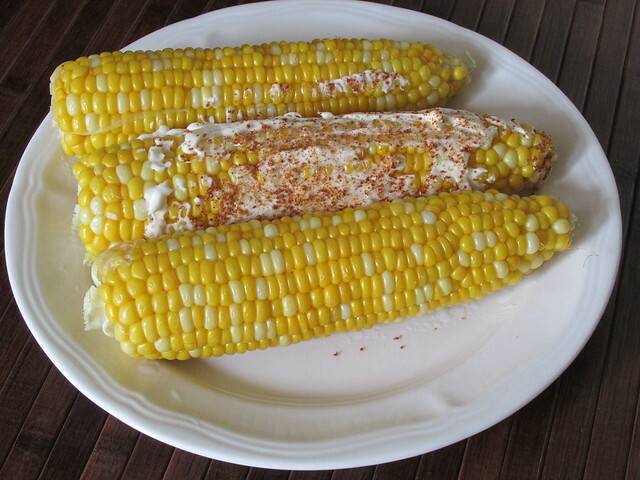 Bake them at 450 for 15-20 minutes per side. They will be delicate but will brown nicely. I am a list maker. You can find lists in every pocket of every jacket I have. Maybe it’s age, but if it’s not written down, I will not remember it. And I must say, I actually feel like my list got a whole lot shorter this weekend. It started with Saturday morning, after ordering my new glasses a week ago, I finally had time to go pick them up. Thankfully, my husband was with me because it took me most of the day to get used to my new prescription. Which meant he ended up being my chauffeur for the rest of my “to do” list. Next, we made a trip to Costco. We had stopped in quickly one night during the week to fill out membership information but really did not have time to shop. This time we had time to wander and look around. I normally stick to my list pretty well but with my other half along that is sometimes quite hard to do. 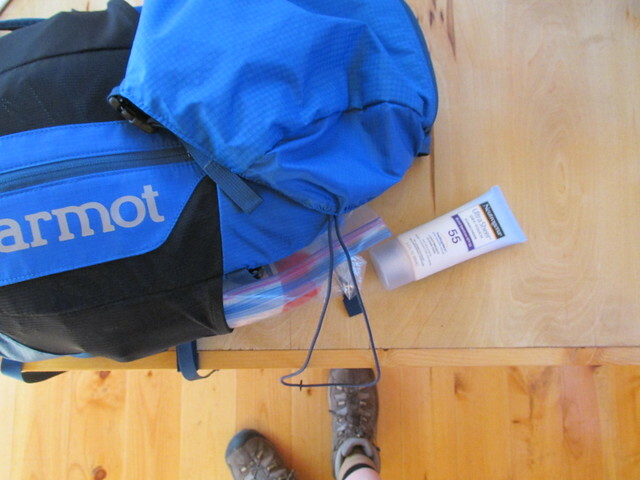 We found everything I needed and then some. I love that they have so many items that are organic, customer service was great (especially for a Saturday) and the produce section is spectacular. I bought the largest pineapple I have ever seen. After we finished shopping it was time for some fun. The sun was shining and we had seen an area trail that looked clear enough to walk on when we were on the highway traveling earlier that morning. We headed to the trail head and needless to say did not make it far. We were only a few yards into the trail when we rounded a corner and found it flooded over with the river that is usually a trickle. Then it was time to finally try out the new roof rack we had purchased a few weeks ago. We had been waiting on one part that had to be ordered and it arrived this week. So my husband assembled all the parts while I was working on my “to do” list. 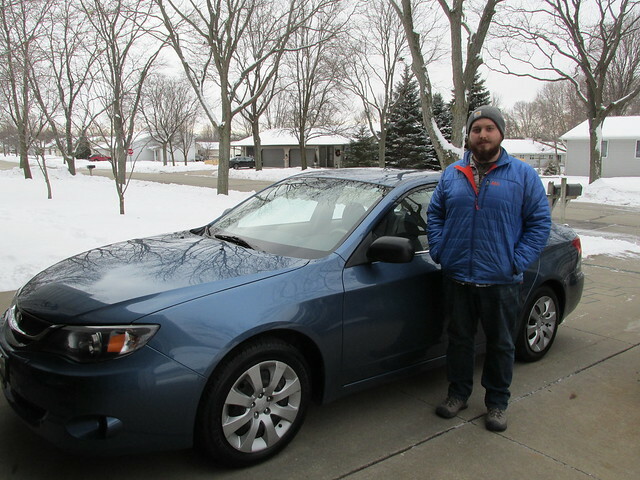 When he was ready, we took it outside and prayed it all went together like the salesman said it would. I could tell my husband was very happy with the design while he was assembling it inside, because I heard him making comments to himself. This is usually a good sign. Having two engineering minds in my house is either really good or really bad. In this case it was good. It fit on the car with ease, my SUP fit on the rack with ease and the kayak was also a good fit. Of course we had to try every kayak we have to make sure they all fit and for once a salesman was right. We took it for a ride and everything on top was happy, which made me very happy. We got some pretty strange looks from people passing by and our neighbors had to think we were losing our minds, but we did not care. Sadly, we arrived back, took it all back off the rack and replaced all our toys in their proper places in the garage. Just a few more weeks until we can get wet. Which brings us to dinner time. This is why you do not take your husband shopping with you. This is one of the things I DID NOT have on my list that he just had to have the moment he saw them while at Costco. He loves dungeness crab so he talked me into trying one. I think they are quite scary looking and he knows I hate crab legs because they are hard to break. He offered to grill them, help clean them and break my shells if they were difficult. How could I turn down all that assistance? SOLD, we bought two. He did all what he said and I must admit, they were delicious. I also threw together a quick kale and quinoa salad to accompany this sea creature. 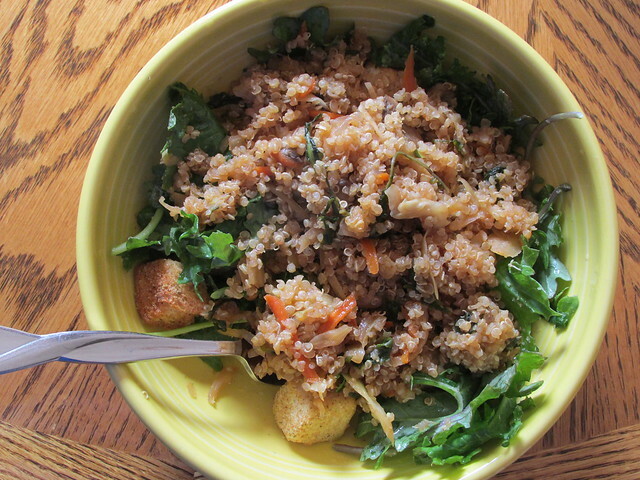 For a quick throw together salad, it was very tasty. Even my husband liked it and I was a little worried he would not.